I’ve been in Veteran Caregiver support groups for a little over a year now. I see a lot of the same thought processes with our veterans, same issues, same emotions. While their experiences might not be identical, they are similar and carry on the same depressive patterns, the same thought patterns. I’ve heard many veterans say something along the lines of, “It should have been me,” or “I deserve it all,” or “it’s my fault,” or even “God hates me.” A world of untruths swim through their brains and rarely escape their self-talk. When they do, their spouses/caregivers are left not knowing what to do or how to respond. No amount of “no” or “that’s not true”, or any variation, will sink in to their heart and let them believe that they don’t deserve this punishment, thus compounding their physical pain with emotional. The things they’ve seen, the things they’ve done, all while in the danger zone could cause them to go against their core values of good and evil. Even though they may have seen some horrible things, or even possibly done some horrible things, it was all done to save lives. But in their heart, they know it’s wrong and it’s damaged their soul so deep that they can’t see any way to atone for that sin. They feel shame so great it consumes them. It’s like they are punishing themselves for everything they saw, everything they did or didn’t do. Punishment, or atoning for their sins. However you look at it, it’s a constant battle raging between logic and emotion. Logically, they know what they saw or did they had to do. Emotionally, they know it was wrong. And as I always say, the logical and the emotional brain never play nice with one another. People call it Post Traumatic Stress Syndrome. But PTSD stems from life-threatening fear. And while there is plenty of fear associated with war, the military, with combat and hazardous zones, that fear can be addressed and become manageable and livable. What I’ve been seeing lately, though, is not necessarily fear, but more guilt and shame. It’s those things that the veteran has bore witness to, failed to prevent, or even committed that can tear their psyche apart. David Wood says that “moral injury is a violation of what each of us considers right or wrong.” PTSD has been recognized since the 1980s. Unfortunately, DoD has yet to recognize moral injury as a separate diagnosis. Doctors seem to always treat the wound, but never address the underlying cause, so it continually festers. The wound will sometimes scab over and things will look like they’ve gone back to a normal balance. Without addressing and finding ways to cope with that black spot, finding a way to accept it for what it is, thoughts will always chafe it and the wound begins to ooze, bringing the depression back to the forefront of everything once again. It’s like putting a band-aide on a severed limb. If you’ve been in the military any length of time you’ll know what I’m talking about. Motrin, the wonder drug. That’s the go-to medication for any pain you go in to sick call or the hospital for. Military or civilian, it doesn’t matter. Motrin will fix it. If it doesn’t then you go back and go back and go back. We’ve been out now for almost 13 years and have been treated at both the VA and civilian doctors. We’ve only experienced one doctor who was baffled at the cause of his migraines. It wasn’t until about a year ago when he ordered a full head and neck MRI that he realized what was causing them. This doctor was the only one who wanted to get to the bottom of the why. Unfortunately, we are still at the same place with that. There’s no real way to fix it. We just try to manage the pain. Not so easy for what they suffer alone in the darkness, though. It’s not something they want to talk about. It’s not pretty. It’s not politically correct. It makes the veteran uncomfortable. It makes the listener uncomfortable. If we never see or hear about it, it never happened, right? Wrong. Sweeping the undesirable under the rug doesn’t make it go away. It’s always there. For those living it, for those living with it. That truth is a lump under the carpet we try to avoid, but sometimes trip over. The truth is the truth, whether spoken or unspoken. The truth hurts. The truth is ugly. War is ugly. But it’s something that must be done at times and rather than ignore the problems that come from it, we should educated, understand, empathize, and help. Who are we to judge? Who are we to say what warrants this punishment or if it’s distorted? It is what it is and we must treat it. But the world always judges and that’s what keeps them in the dark. This is going to take a long time to learn how to deal with. All we can do is be present. So, I’m here, always by his side. I am doing my best to help keep his hope alive, to help him see that what he did, or didn’t do, is not his fault, it’s not God punishing him, and that he doesn’t deserve it. I will offer my forgiveness, even though that’s not the forgiveness he needs. I will offer up that God forgives everything, all he has to do is ask. But it’s not enough. It’s never enough. It hurts my heart deeply to see the torment TheHubs goes through. I know I will probably never know it all. What I do know is that I will forever be by his side, no matter what. He has to come to terms with it all and believe that he did what he had to do and did it well and honorably. He has to believe that what he couldn’t control is through no fault of his own, and his actions were always honorable even though someone else acted too late. He has to believe that he doesn’t deserve the punishment he’s putting himself through because of the situations he lived through. I cannot make him believe these things. I can only reinforce them and keep telling him, and hope that one day he will believe. Once this happens, he can be at peace, I think. Until then, I will continue my fight for him. This entry was posted in Caring For My Veteran, Emotions and tagged anxiety, caregiver, caregiver support, depression, emotions, fear, feelings, guilt, healing, love, PTSD, Secondary PTSD, stress, TBI, The Bible, veteran, Vets on May 19, 2015 by LadyJai. I’m a writer. It’s what I do. It’s how I process. It’s not always about my stories. Recently, I happened across an article that talked about the fears that motivate our characters. Now we’re not talking about the fear of spiders or heights. I wrote about fear, once. It didn’t go deep enough. We’re talking about fundamental fears, the things that scare us the most, that shape our personalities and our decisions. It has given me insight into my own character – Me. But can I change it? That is a huge question. Well, maybe not change it, but at a minimum try to combat how I react to certain things. This past week has put me back in my darkness, where I can no longer see hope. But I keep trying to reach out and find something, anything to grasp. Just when I thought I was learning how to better communicate, my whole world is turned upside down and I am forced back into a place where I can no longer get that communication across, either because I failed to say the right thing or because the other side has blocked me out. Either way, I’m lost. Without communication, we cannot progress, we cannot grow, we cannot change, and we cannot expect to have any type of relationship, with anyone. So what is it I fear most? I am afraid, oh so afraid, of being unloved. Helpers want most of all to be loved. They are people-pleasers. In an effort to get love, they give it first, fully expecting love in return. This bargain remains assumed and unacknowledged until the issue is forced to the surface by the Helper’s growing resentment. No one but another Helper can match their giving nature, so they often feel used, surrounded by a world of heartless takers. This is when their personality can pivot toward vindictiveness. At their worst, Helpers are possessive, manipulative victims. At their best, Helpers are generous, caring, and insightful. I’m still trying to process the why of this fear. Where did it come from? Both my parents love me. I was never neglected. No, so far from that it was just the opposite. So that’s not it. But maybe it has to do with being an only child? Moving around every 4 years and losing touch with every friend I ever made? I think both of those play a major role in the development of this fear. Being an only child meant I was alone most of my life. I had to learn to play by myself. I had to learn to rely only on me. Most of my friends lived inside books. The ones in real life, well, they came and went. Some friendships lasted 6 months, some a year, and then if I got really lucky, some would last through two duty stations, which meant about 6 years. I’ve never had the luxury of a childhood friend, a best friend, someone who would always be there for me. So maybe I built defense mechanisms? Since I knew the only one I could count on, ever, is me, I only listened to me. Decisions, problem solving, directions, all were made by me, and me alone. It could very easily be the reason why some friendships didn’t last as long as they could. Because I expected them not to last. Expectation is not the norm in the issues that have arisen of late. I mean, come on, 25 years and he’s still here. So why can’t I get it through my thick head he isn’t going to leave me? Well, that’s because those mechanisms seem to still be hanging around. That fear is my rock, my foundation. I guess I always knew it; but putting a name to it, validating it with proof, well that’s another thing. These last two years have been a journey of discovering what makes me tick, as well as what makes him tick. I thought this was all progress. I truly thought we were working better at this whole communication thing. But I guess, he’s been holding so much back about me, letting me make all the decisions, for so long, for whatever fear he has, that he couldn’t take it anymore. I’m selfish. I’m stupid. I’m inconsiderate. I never think about anyone else but myself. As for being inconsiderate and never thinking about anyone other than myself. Well, that is so far from the truth. Everything I do is to please everyone else. That’s my downfall. Logically, I know you can please some of the people some of the time but you can never please all the people all the time. Still, my heart tries so hard to do the latter. Everything I do, I do out of love. Some of these decisions may be centered around me and I’m blinded to that fact, but in the end I don’t do it thinking solely of me. Yes, I’m stubborn. If I get an idea in my head I run head strong with it. I’m bull-headed. Always been told so. When something ticks me off, say a car that has broken down over and over and over again that we put so much money into I get fed up and just go out and buy a new car. I ask for input. I guess over the years with these major decisions, he’s given me less and less input. I get so frustrated at the “whatever” responses I get. So I just do. And that probably gets me in trouble, too. I have told myself I am stupid countless times since I was young. Now, though, I know this is not true. I am doing my best to stop thinking this way about myself. Sometimes it’s hard when consequences of my actions, or words, rear up and show themselves. Yes, I’ve made some stupid decisions. Yes, I’ve said some stupid things. Haven’t we all? It doesn’t make us entirely stupid. Right? As for selfish? That’s a whole lot harder to push down. I wrote about only some of the things I feel selfish about, before. Only child syndrome, I guess. I can’t recognize it when I’m doing it, so I wish someone would point it out to me. Yes, I might get upset, at first. But I need it. I need to know in order to change. So why did he bottle it all up and never confront me? Maybe he didn’t want to upset me. But how will I know what needs to change? How can we compromise? How can I learn to recognize these behaviors and work on changing them? First off, acknowledging them, even here on the blog, helps. They become tangible, real. Rather than something fleeting in my mind. They always say, admitting you have a problem is the first step to recovery, right? So I hope I can change for the better. PS: In light of this weeks issues, I am foregoing a post dedicated to Celebrate the Small Things. Please forgive me. It’s been a very, VERY rough week. I’m processing and recovering. However, I will say that I am celebrating peace returning. But there is a new challenge that we must deal with. We will get through it, together! This entry was posted in Caring For My Veteran, Emotions and tagged anger, anxiety, caregiver, Celebrate The Small Things, depression, emotions, fear, feelings, guilt, healing, stress, writing on April 24, 2015 by LadyJai. That’s what my therapist calls me. I like to make sure everything runs smoothly. If something is wrong, it is my responsibility to make it right. I tend to keep order and peace amongst everyone in the house. If I cannot keep things going as planned, if I can’t keep everyone happy, if I can’t calm the anger or ease the depression, it’s always been my fault. In my eyes, I am guilty – guilty of creating the mess, guilty of being unable to fix the mess. I hold a perfect standard to myself, and no one else. And I’ve burdened myself with the weight of the world. 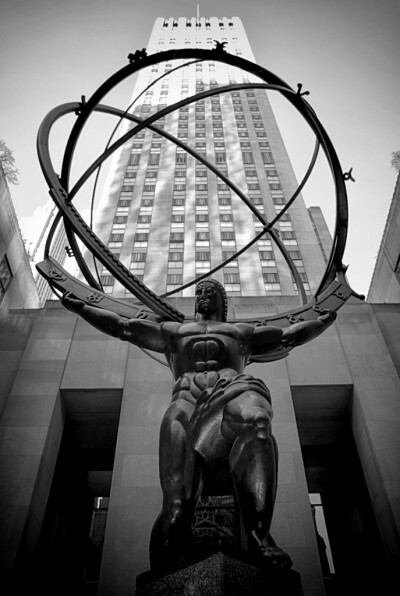 Not only do I resemble Atlas; I also torture myself like Sisyphus. It’s a never-ending battle of burden. Powering through the rough times, pushing the darkness away, carrying the load for everyone up hill only to have it all come crashing around me again. But what do I do? I don’t give up. I find my hope and keep going. And the cycle continues. In my research of this Fixer-type personality, I ran across these words: “Most Fixers believe deep inside that they will only be loved for what they do, not for the person they are.” This is so me! Re-learning how I view myself is one of the hardest things I have ever attempted to do. Seeing his pain, his torment, our situation as “NOT MY FAULT” is one I must work on daily. I think I’ve gotten better over the last year; but I do falter every now and again. I’m learning to recognize those words, analyse the situation, and truly see that maybe it really isn’t my fault. Man is it hard! This seems to be a common theme in my group of caregiver friends. We all seem to desire to “fix” our veteran. We feel so helpless when they get angry, when they get depressed, when they refuse our positive words of hope, when they push away any opportunity or kindness, when they seem to have given up. We seem to think it is always our responsibility to lift them up, to turn their anger to calm, their depression to happiness, their bleakness to hope. When they refuse us, we consider ourselves a failure. Why can’t we love them enough to make everything better? If loving someone was enough to cure what ails, we could do away with the VA! Or even hospitals, doctors, nurses, therapists. But, alas, this is never, EVER going to be the case. My logical brain knows that love is no cure for anything. My heart always says otherwise. They never play nice. Pitting one against the other. For me, the heart always wins out. I am an emotional critter, wearing my heart on my sleeve. Because the situation, his pain, his depression is not my fault, I’m learning to quiet the emotion and listen to logic. I doubt I will rid myself of my nature, but I can learn to listen, learn to hear the logic. It is something I confront daily. I have to keep reminding myself that it’s not my fault. Sometimes out loud, even. There is a single word my therapist says to me when I start trying to over control everything, when I start my “fixing,” when I start worrying that everything isn’t going as planned, or I can’t help TheHubs enough. One word that I have to remember, repeat, and believe. All that is required when you love someone with PTSD, depression, chronic pain, is being present. I love him. He knows that. I want to make him feel better. He knows that. But me berating myself because I can’t make him feel better is not helping him in the least. All I can do is sit by his side, holding his hand, and loving him. THAT is what makes him feel better, even if it doesn’t take away the physical or emotional pain. My love for him is what gets him through each day. It is his guiding light through his never-ending darkness. It is what keeps him here, that I am the reason he lived. He has told me all of this countless times. Why is it so hard for me to understand the depth of his love for me? Why can I not accept that he loves me so deeply? Why is it that I hold myself to such a high standard, a level so high that it is impossible to obtain, and always feel crushed when I cannot reach it? I am learning to step back, take a breath, close my eyes and evaluate myself. Am I placing too much blame on me? Am I carrying too much of the burden that is not mine? Am I lying to myself, creating false guilt with false evidence? Am I being too harsh, bullying myself into submission? Am I seeing things inaccurately, through the lens of my own high standards? I keep saying “I am learning to…” and I really am. I am learning a lot of things about me through this blog, through my therapist, and through my actions. I’m learning to reshape my thinking. I don’t foresee an end to my learning or practicing. If I can make this a habit, I won’t let it overwhelm me to the breaking point, like I did last time. Being positive is the hardest thing to do…ever. But even more so when you can’t see any light in that dark tunnel. Now, here’s something to consider. What is ever easy that is worth it? Do your treasure something that was easily obtained? Or do you pride yourself in all that you have overcome? Each day is a struggle and a choice. Some days are harder than others. When you are faced with that darkness and you feel it smothering you, I am here to be your beacon. Going through all of this and coming out on the other side of darkness has given me the strength to help others again. Giving advice is so easy, now, though I still feel like a hypocrite because I fall down from time to time, not listening to my own advice. I need to remember the single, solitary word when it comes to him. All I can be is present. Be there for him. That is enough. I cannot make him get out of his funk. I cannot make him get better. It’s not my fault he feels the way he feels. It’s not my fault he’s not getting better. HE has to be willing to get there himself. All I can do it be present. I hope you can remember all this, too. Be kind to yourself so you can be kind to others. This entry was posted in Caring For My Veteran, Emotions and tagged anxiety, caregiver, caregiver support, depression, emotions, fear, feelings, guilt, healing, love, PTSD, Secondary PTSD, stress, TBI, The Bible, veteran, Vets on April 8, 2015 by LadyJai. I’ve never pretended to know everything that he thinks, everything that he’s been through, everything he blames himself for. I think it is a part of depression, PTSD, or whatever label you want to place on it. No matter how much they trust you, they will never give themselves over to you, completely. This is where faith comes in. I’m learning more about God in my own way than I ever did sitting at Mass every Sunday with my mom for 17 years of my life. CCD, or Sunday School, and Vacation Bible School never really went into more than the popular stories everyone knows and reads from childhood. I have had to do my own research as my trials came to me in order to understand how The Bible addresses them. The problem I still have with it all is the dichotomy within The Bible itself. It is my understanding that God is a loving god. He loves all His creations. He only asks that you come to Him with your burdens. He knows you will sin. He knows your pain. He knows the evil in the world and He cannot stop the free will He has given His children. He patiently waits for you to come to Him, ask for help, ask for forgiveness. He will wipe away your tears and pain. If only you ask. The Old Testament is full of stories about a wrathful, vengeful, jealous God. I think He was learning how to parent us with the whole free-will thing. When controlling us through fear wouldn’t work, He decided it was time to step back and let what will happen, happen. He did give us a path back to Him, through his Son, and let our free will decide how we will live, think, and do. While our choices make Him sad sometimes, and all he ever craves is for us to ask for His help. He sits and waits. He is the most patient being. I do not understand how He can endure the pain of watching our failures and waiting for us to as for His help. This is where I sit, at the moment. Watching my husband beat himself up, simmering in his murky darkness, listening to him berate himself, watching him self-destruct. My heart hurts so much for him. I do my best to show him positives, to keep his hopes up. I can understand because he suffers all day, every day, the pain. I come home and see it on his face. But what he shrouds behind his eyes, I cannot fathom. He’s only told me bits and pieces. I used to believe that everything was my fault. His pain, his suffering, his lack of love of life. It was my fault I couldn’t love him enough to fix him. That was my guilt. I still struggle with it today, even though I know it is not my fault. But, as I always say, my emotional heart and my logical brain NEVER play nice with one another. My therapist calls me a fixer. I want peace and harmony in everything I do. I want everyone to like me and no one to be mad or upset. Conflict is the bane of my existence. It’s my job to create peace, harmony, and love. And if it’s not working, I have to fix it. If I can’t, that’s when the guilt manifests. I want to fix my husband, but I know I can’t. I know he’s the only one who can fix himself, and the first step is to WANT to be fixed. He’s taking the steps, but I don’t know if it’s because I begged him, nagged him, or what. But he’s going to my therapist. The other night, he told me that the therapist had something profound to say. “Only you know when to stop tormenting yourself.” I asked him if he will ever stop. His response was, “I don’t know. There’s a lot I need to pay penance for.” I also mentioned that he’s not just punishing himself. He’s punishing his son and I. Maybe if I opened his eyes about that, I thought it might start him thinking that maybe he needed to change. But his immediate response scared the hell out of me. That stopped me in the tracks. How could he believe in that. What did it really mean. It couldn’t mean what everyone thinks it means. Could it? So, with that weighing heavily on my mind, I began to research the meaning of “The sins of the father.” I’ve read The Bible a few times. Once as literature for a college course and once for my own purpose. However, I find it quite difficult to understand the language and the meanings of the words. I struggle with “lost in translation” because, how many times has The Bible been translated over the years? I know that meanings of words change with the times. I know that there are certain words that you can get the jist of the meaning, but the direct translations usually fail. It’s just not quite right. Or the meaning is completely lost. Maybe I over-analyze? So here I am, looking at the words in Exodus. Four generations of God’s wrath? Really? This is how I read the words. That God punishes the children for the sins the father committed, and will continue to punish them through the fourth generations. Why? Why would he do that? I kept trying to understand those words. But all I could see was the negative in it. I am of the mind that God is all loving. Ever since he gave His son to us, He has removed His vengeance and wrath. He loves. Exodus is in The Old Testament, before Christ. So maybe that’s why He punished the person through four generations. I brought this all up to my therapist. He’s a Christian therapist and knows a lot more about The Bible than I. And he brought me to another understanding in the Exodus passages. That the Lord will punish the one who hates Him, and their generations. Not just anyone who sins. I need to show this to TheHubs and let him see the context. No one quotes the whole passage, it seems, and that’s where I get so confused. A few other passages my therapist brought to my attention, regarding the sins of the father, is found in Deuteronomy and Ezekiel. Deuteronomy 24:16 Fathers shall not be put to death for their sons, nor shall sons be put to death for their fathers; everyone shall be put to death for his own sin. Ezekiel 18:3-4 As surely as I live, declares the Sovereign Lord, you will no longer quote this proverb in Israel. 4 For everyone belongs to me, the parent as well as the child—both alike belong to me. The one who sins is the one who will die. Both of these books are in the Old Testament as well. The dichotomy of The Bible still holds. However, I was not reading Exodus properly. And, as I said earlier, the quote is always half-quoted. Now that I can see that the sins of the father are “of those who hate me,” I can better understand the meaning. I hope this will show my husband the same things I now see. The challenge I face now, is showing this to TheHubs and allowing him to process it and come to his own conclusions. My challenge, is patience. I am not God. I am not perfect. I cannot fix things. I want to be my husband’s guide, showing him positives and hope, and showing him the path to getting better. I pray, now, for the Lord to show him its OK to let it go, to forgive himself. I pray the Lord to give me the patience and strength I will need as I watch my husband walk his own path to getting better. This entry was posted in Caring For My Veteran, Emotions and tagged anxiety, caregiver, caregiver support, depression, emotions, fear, feelings, guilt, healing, love, PTSD, Secondary PTSD, stress, TBI, The Bible, veteran, Vets on March 25, 2015 by LadyJai.